I opened my new copy of this book expecting to read a few remedies, then put it away for future reference. Instead, I read it from cover to cover, captured by the myth-busting of many remedies we take for granted as tried and true recommendations. In addition, Jeff’s humor and his own hilarious experiments held me captive all the way until the end. 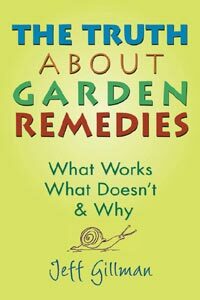 Horticulturist Jeff Gillman compiles research on commercial products and home remedies inside this handy guide that helps gardeners save time and money on concoctions that are worthless, problematic or dangerous. Not pulling any punches, Gillman delivers the facts on remedies in this invaluable, research-based book. Well laid out so that it is easy to find what you are looking for, each remedy is explained in convenient sections on the practice, theory behind the practice, the real story, and what it means to you. 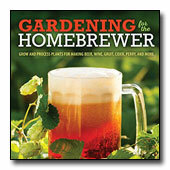 Throw away the videos, articles and books that advocate using soda pop, beer or tobacco in the garden. Keep the vices away from your precious plants. Pick up a copy of this inexpensive, yet priceless book for researched, practical advice.